Farmer-to-Farmer volunteer, Michael Lowery just completed his 7th volunteer trip for Winrock since 2003, and his 3rd volunteer trip to Nigeria. 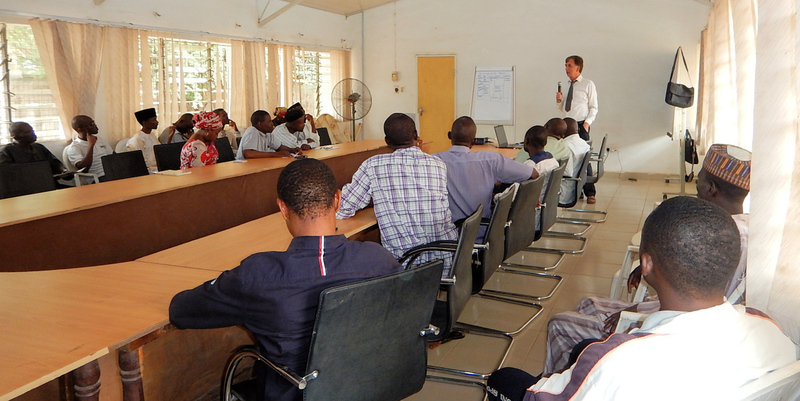 This latest trip took him to Kaduna, Nigeria where he worked with the College of Agriculture and Animal Science. 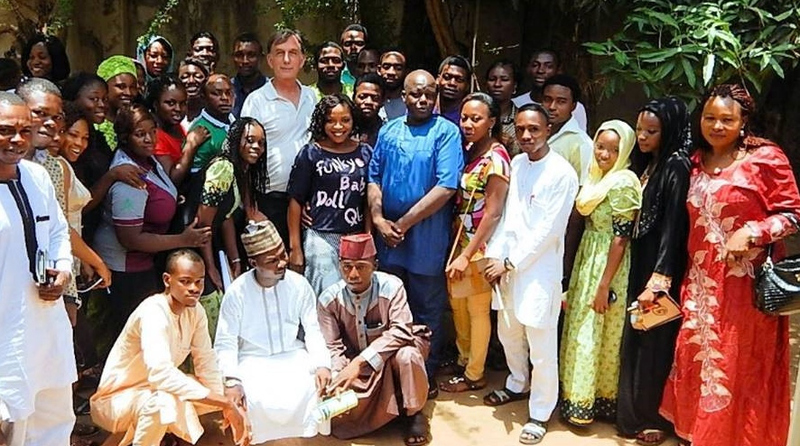 The Nigerian government tasked six of the agriculture colleges in the country to develop entrepreneurship curricula and to build Entrepreneurship Development Centers(EDC) to reach out to local business start-ups in their communities. “My project was to meet the principals at the College of Agriculture and Animal Sciences in Kaduna (about 150 miles north of the capital, Abuja) and conceptualize a development plan for their Entrepreneurship Development Centers, built in 2008 but never implemented as a fully-staffed operating facility. My proposal, developed over a course of two weeks, was to hand off the center’s program to a board of directors recruited from the local business community, with programs taught by the College entrepreneurship faculty. I prepared a strategy paper, budget and grant proposal to sustain the EDC for a period of three years, combined with some additional donations from the local business community, with a handoff of funding to the business community in the fourth year. With the assistance of the College Provost, I met with several local business leaders to begin the process of recruiting a board. A second task was training the College’s entrepreneurship faculty, a project that was expanded to an introductory training for students and later, the overall college faculty. Using PowerPoint presentations developed in earlier assignments, modified for Nigeria, 18 hours of training was provided to a total of 97 interested participants. Training materials and relevant spreadsheets of start-up business projections were provided to the faculty and interested students. …..[F]unding is tight in the university system and the local job market is difficult. As a result, there is great interest in entrepreneurship as a way forward for students, and my efforts were rewarded with a lot of smiles, diligent note-taking, and pertinent questions.